Biodiversity is the diversity of all life on earth, and is currently being lost at an increasing rate. Biodiversity provides us with food, clothing, fuels, construction materials, medicines and a wide range of ecosystem services. We ourselves are part of the biodiversity of this planet: we must understand and conserve biodiversity to secure a sustainable future for humanity. This course will provide in-depth training and experience for those looking to further their career in various aspects of biodiversity and its conservation, for students wishing to pursue further post-graduate research in this area, and for professionals already working in conservation biology wishing to obtain relevant qualifications. Download the MScPGradDip Biodiversity and Conservation brochure here. The course will be taught through a variety of methods: lectures, practicals, field-based learning, guided reading and discussion groups and web-based methods. A variety of assessment procedures will also be adopted - essay writing, oral presentations, web-based tests, examinations and assessment of dissertations. The approach will be to develop, progressively, a high degree of independent thinking and academic excellence in students completing the course, providing a smooth transition for those entering both directly from undergraduate degrees, and for those entering the course from industry. Students will undertake individual research projects, both desk-based studies and experimental projects. A highlight of the course will be the residential spring field course based in South Africa, focusing on practical aspects of biodiversity conservation (the cost of this course is not included in the course fees). This module will act as an introduction to the whole MSc programme, and provide grounding in some of the key concepts. Topics covered will include the definition and measurement of biodiversity, the biodiversity hierarchy - communities, species, genetic diversity - biomes and eco-regions of the world, global biodiversity hotspots, and introduce the dynamics of biodiversity. Students will also be introduced to the critical evaluation of relevant scientific literature, developing key skills that will be required for all other modules. This module will introduce the broad topic of conservation biology. The main aims are to provide further basic theory to support modules which will follow, in particular focusing on the main principles underlying community and population ecology, conservation genetics and population dynamics and determine how they relate to the persistence of biodiversity. Threats to biodiversity and how these are assessed will be covered in general terms, though these will be further developed in later modules. The module will consider conservation options, including in situ and ex situ approaches. The application of successful management strategies requires a wide knowledge of the environment and the pressures on it. The overall aim of the module is to introduce students to environmental assessment legislation, processes and practical implementation through lectures, workshops, set readings and research activities. Specifically, the module will focus on Strategic Environmental Assessment (SEA), Environmental Impact Assessment (EIA) and Appropriate Assessment (AA), as well as other relevant associated legislation (e.g. Water Framework Directive, Flood Risk Directive). This module will explore how human activity can positively and negatively affect global biodiversity and the value of biodiversity to humans. Case-studies will be used to investigate biological impacts of habitat destruction and fragmentation, invasions by non-native species, pollution and climate change (the main current drivers of biodiversity loss). The political ecology of human-biodiversity interactions will be explored, and mitigation strategies for reducing negative impacts considered. This module covers the scientific basis necessary to understand environmental (including climate) change from first principles. Topics include the biogeochemistry of carbon and nitrogen, ocean circulation, heat and mass transfer fundamentals, as well as the tools to read and comprehend the scientific literature providing evidence of changes occurring through time. Lectures on specific topics (e.g. paleoecology, ecosystem dynamics or biotic responses to climate change) and their wider significance will be developed through whole class discussions on their practical significance. This module outlines the principles of data collection, coding and analysis within the context of research design, and provides a firm quantitative base with particular relevance to the research project. It includes an introduction to types of data, how data can be described statistically, and a series of methods used for extracting information from complex datasets. It also includes practical examples and illustrations of statistical applications to real-world research projects. Introduction to modern, cutting edge analyses will be included in this course: e.g. Bayesian statistics, mixing models and multivariate approaches. This module will provide an introduction to the principles of systematics, the classification of biological diversity. Various species concepts and their application will be described, and the application of classical morphological approaches and modern molecular approaches will be compared. Part of the course will involve practical plan and invertebrate identification, as well as an individual project on the systematics of a particular group of organisms. This module will present practical approaches to the study of biodiversity and its conservation. The first part of the module will cover various practical aspects of biodiversity conservation, including practical habitat mapping using GPS, monitoring and various practical interventions, and will involve numerous site visits. The second part will involve training in GIS techniques. 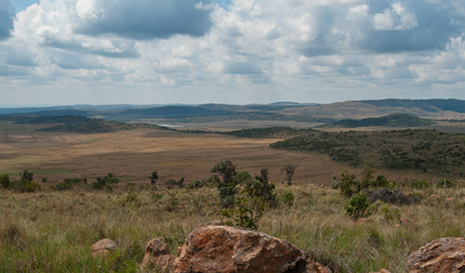 This will be a 13-day residential field course based in Welgevonden Game Reserve, Limpopo Province, South Africa. The trip will be based out of the Wildlife Ecological Investments (WEI) camp located between the Main Gate and the WEI field coordinators house. The module will provide hands-on experience of wildlife ecology and conservation management. An independent, desk-based review of literature relating to a current topic of relevance to biodiversity and its conservation. A list of proposed topics will be circulated; however, there is also an opportunity for students to select a study of their choice in negotiation with the Course Director and a member of staff. The research project provides students with an opportunity to pursue a topic in their chosen area of biodiversity and conservation biology in depth, to employ relevant skills (including research planning, literature review, experimental design, and statistical analysis) and to apply and develop their knowledge of research methods. The nature of the project work may vary, with varying amounts of experimental work included. There will be opportunities to carry out project work with collaborative institutions, including local authorities, the National Botanic Garden, National Parks & Wildlife Service, etc. Trinity College Dublin is one of the most important research institutions in Europe, located in the hear of a vibrant capital city. The Centre for the Environment becomes the MSc classes “home” providing students working rooms, lockers and kitchen facilities. The TCD School of Natural Sciences has an internationally recognised research profile in the areas of biodiversity research and conservation, and integrates these research experiences fully within its undergraduate and post graduate teaching programmes. We also have very close links with various State agencies and institutions who are active in the practical application of conservation science, and biodiversity and conservation policy, and who will also make contributions to the course teaching. Academic staff have significant expertise in taxonomy and systematics, ecosystem function, population biology, community ecology, assessment techniques, policy and other related areas. 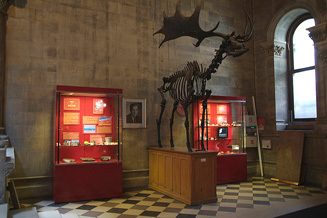 Several large-scale projects involving biodiversity research operate from the School of Natural Sciences. Staff have experience in Ireland, South-East Asia, West Africa, Central America, the Caribbean, and the Pacific Islands. Higher plant taxonomy, biodiversity, conservation. Ecological and evolutionary systems modelling. Plant evolution, tropical plant ecology. Ecology of communities and metacommunities, aquatic ecosystems, spatial and temporal patterns, perturbations. Applicants should hold at least an upper second class honours, or equivalent qualification, in a science subject that included significant components of botany, zoology or a relevant life science. Non-EU applicants will be required to hold an equivalent qualification. Candidates with relevant experience as professional practitioners in biodiversity management or policy may be accepted with lower qualifications. Applicants whose first language is not English must submit evidence of competency in English in a test administered by an institution independent of their own university (e.g. the British Council). Applications must be accompanied by a covering letter outlining your interest, your CV, references from two referees and evidence of academic fitness.